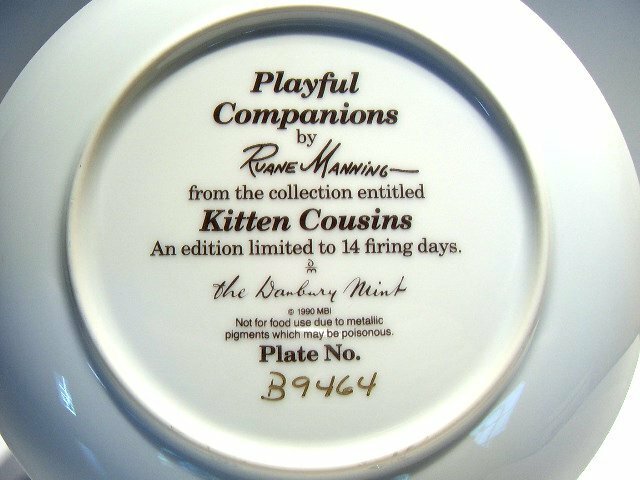 Limited edition Danbury Mint collectible porcelain cat plate number B9464 and titled 'Playful Companions' by Ruane Manning from the 'Kitten Cousins' plate series and dated 1990, measuring 8 inches in diameter, and in excellent Mint condition (see additional views). This one is truly beautiful! 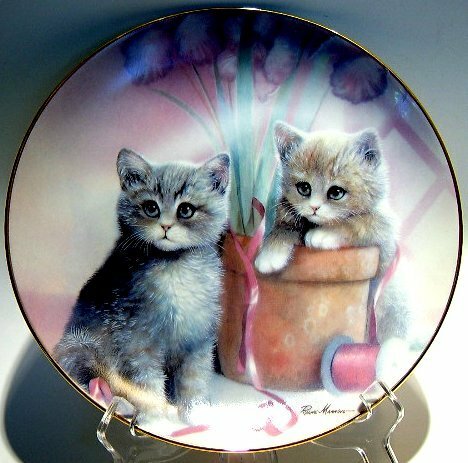 Great find for cat or plate collectors. 9.50 Priority Mail shipping and insurance charge in the U.S.